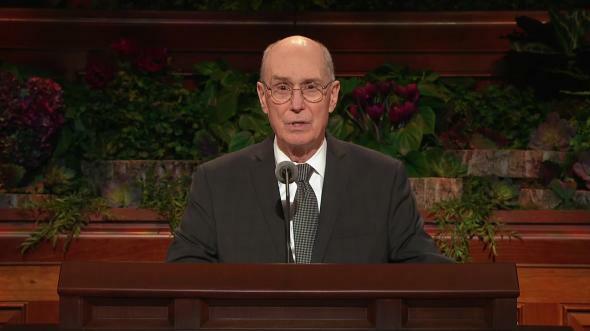 Brethren, it is an awesome responsibility to speak to you young men who hold the Aaronic, or the preparatory priesthood, and to you our brethren who hold the higher priesthood—the Melchizedek Priesthood, the Priesthood after the Holiest Order of God, or the Holy Priesthood after the Order of the Son of God, as the scriptures describe it. I hope to call to your attention some things that we take for granted—some sacred things. We tend to measure our progress by visible things we can count: convert baptisms, missionaries, wards and stakes, chapels. These are symbolic perhaps of the body of the Church. There are other measures which symbolize more than the spirit of the Church—things not so easy to see or count. Let me report some of them. 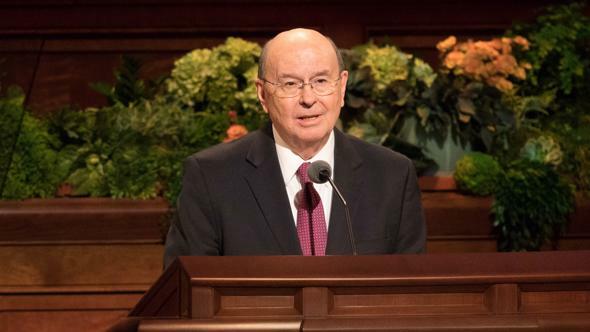 Early in the eighties, after ten years of intense work by a veritable army of volunteers, the Latter-day Saint edition of the King James Bible was published. This was followed by new editions of the Book of Mormon, the Doctrine and Covenants and the Pearl of Great Price. Early manuscripts had become available, making possible the correction of many printer errors. 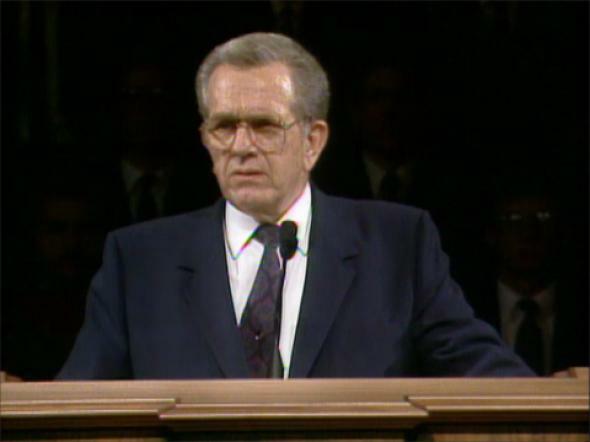 The subtitle “Another Testament of Jesus Christ” was added to the Book of Mormon. Two revelations were added to the Doctrine and Covenants, the book that will never be closed. The text of the King James Bible was not altered. An innovative system of cross-referencing all the standard works, containing tens of thousands of footnotes which open hundreds of thousands of possible combinations of information, was added. Bound in with it were a combined topical guide, with concordance and index, Bible dictionary, and maps. All chapters were given new headings. The subject “Jesus Christ” in the topical guide takes eighteen pages of small print just to list the references. It is the most comprehensive compilation of scriptural information on the mission and teachings of the Lord Jesus Christ that has ever been assembled in the history of the world. An index of over four hundred pages was added to the triple combination, together with Church history maps. 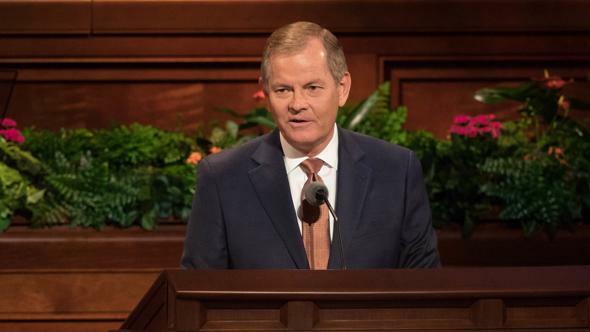 It was the first time in nearly a hundred years that substantive attention had been given to making the content of the scriptures more accessible to members of the Church. The revelation on the priesthood came just in time to be bound into the new editions of the scriptures, evidence of direction from beyond the veil. In all, 1,268 pages of helps were added to the standard works. The scriptures—comprised of 86 books, 138 sections, 2 declarations, 2,540 pages, over 42,000 verses—are the library of the Lord. Translation of the standard works into American Sign Language for the deaf is under way. 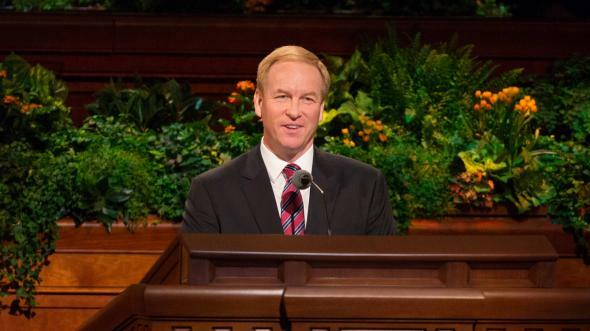 A new edition of the Book of Mormon in braille is now complete. A new braille edition of the Doctrine and Covenants is finished, and the Pearl of Great Price will soon be ready. Footnotes for these braille editions are in process. We now own a press capable of printing braille on both sides of a page; that reduces the volume by half. By computer control we can print copies on demand. From the beginning of the Church, in 1830, through 1988, the standard works had been translated into thirty-five languages, with seven other languages in process. During the last year, approval has been given and budgets established to translate and publish the standard works in fifty-one additional languages. Years of tedious work lie ahead, for each translation must be done as though it alone is important. When completed, these translations will extend the number of possible readers of the scriptures in their native tongue by an additional 2,254,000,000 people—half the world population. And other translations will follow. A prototype concordance and topical guide to the scriptures with footnotes, cross-references, and the other helps has been developed for other languages. The triple combination in Spanish is nearing completion, and other languages will follow. Tape recordings of the standard works are available in English. 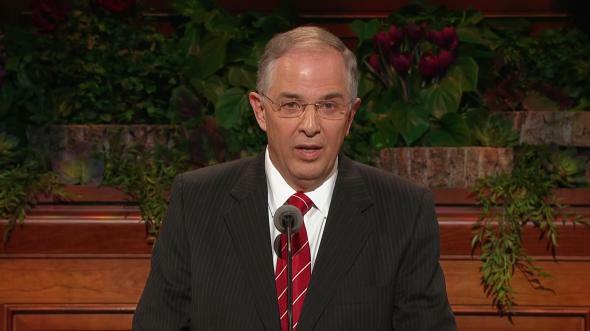 One can listen to the scriptures while working at home or driving about. Several years ago Monte F. Shelley and James S. Rosenvall, both professors at Brigham Young University, conceived of a way to input the scriptures into a computer data base and program them so that any word or combination of words may be called up instantly. That did not happen. We have no doubt about the scriptures. These brethren were urged to proceed. 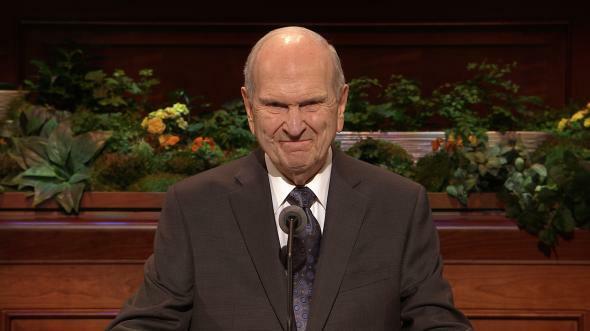 The result is LDSView, computerized scripture software. It is simple to operate and is capable of infinite ways of searching through, comparing, and analyzing this sacred library of the Lord. It did not open a Pandora’s box; it opened the scriptures to analysis beyond anything that had been imagined. For instance, you may key in the word faith. Instantly you see that it appears 696 times in the standard works. Press a key, and the verses appear before you. Add the word hope. You will see that it appears forty-six times. Then add the word charity. It appears seventy-five times. Push a key, and you will see that faith, hope, and charity appear together in the same verse nineteen times. All of that has taken less than three and a half seconds. Select a verse, and it appears in its chapter setting. You may scroll back and forth from Genesis to the last verse in the Pearl of Great Price and, with a touch of a key, print a copy. This does not replace the printed page. While every member may not have need for this computer program, it is a research instrument of profound importance. And work is well underway to provide this software in Spanish, German, and other languages. Concurrent with these projects, the entire curriculum of the Church was restructured. All courses of study were revised to center on the scriptures, on Jesus Christ. Again, a veritable army of volunteers worked for more than twenty years to complete it. Now the scriptures are the text, and, with excellent study guides, the gospel may better be taught in priesthood quorums, in the auxiliaries, in Sunday School, and preached in sacrament meetings and conferences. Good teaching is a key to this library of the Lord. Teaching skills can be learned. An excellent teacher-development course was produced and is available for use in the wards. But it suffers from some neglect. Teacher development should not be neglected! In seminary and institutes of religion, absolutely marvelous study guides have been published for students and for teachers. They adapt to both classroom and individual home study. They open the scriptures for our youth. We live in a new age, where a third grader can demonstrate how a computer operates to his father and grandfather. 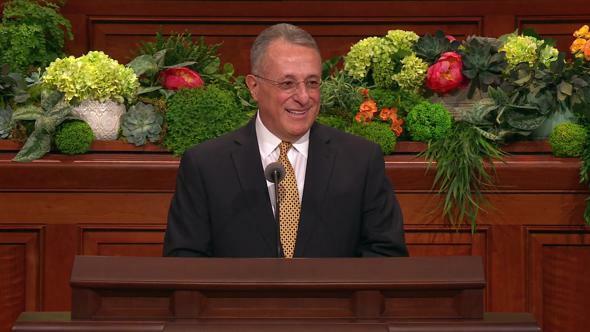 Likewise, our youth now can demonstrate a facility with the scriptures, using resources we never had. This is a true measure of our progress. Seminaries now enroll 270,000 students in more than 90 countries. Institutes of religion have been established adjacent to 1,711 colleges and universities across the world, and now enroll 126,000. 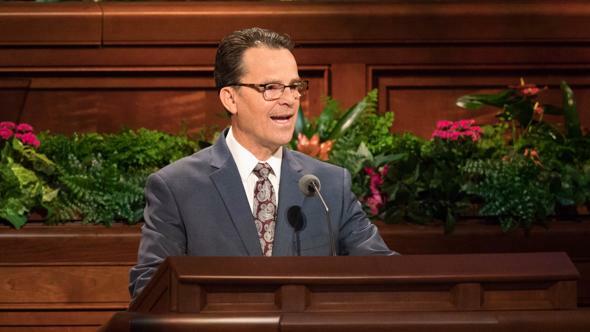 Let me tell you what you are taught as you progress through seminary. In the Old Testament course, you learn of the Creation and fall of man, the foundation for the temple endowment. 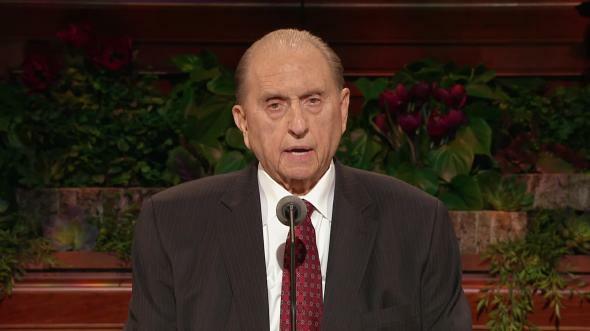 You learn what a prophet is. You become familiar with such words as obedience, sacrifice, covenant, Aaronic, Melchizedek, and priesthood. The whole basis for Judaic-Christian law, indeed for Islam, is taught to you. The “why” of tithes and offerings is explained. You read prophecies of the coming Messiah and of the restoration of the gospel. You see Elijah demonstrate the sealing power and hear Malachi prophesy that Elijah would be sent with the keys of the sealing authority. In seminary you learn to know the Old Testament. Now almost abandoned by the Christian world, it remains to us a testament of Jesus Christ. In the New Testament course, you learn of the birth and ministry of Jesus the Christ and his divine sonship. You learn about ordinances, about baptism by immersion for the remission of sins. You read of the call of the Twelve and follow their ministry. You learn of the fatherhood of God. 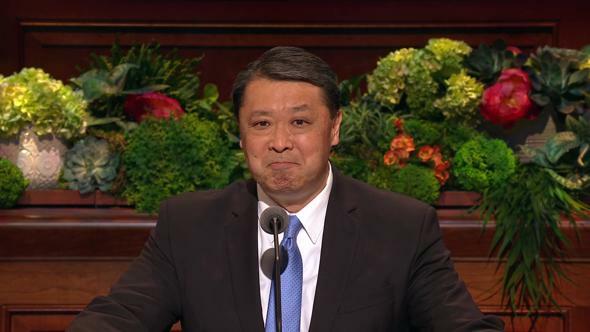 You learn of the Holy Ghost, the Comforter, and personal revelation. You relive the days of the Betrayal and the Crucifixion, and learn transcendent truths of the Atonement and the Resurrection. You learn of love and law and why a Redeemer. 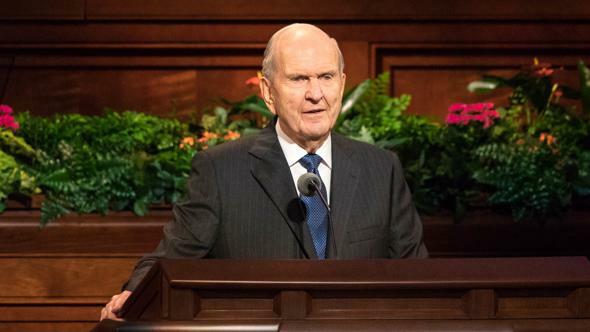 From the four Gospels to the book of Revelation, the teachings of the Master and of His Apostles—the Lord Jesus Christ’s gospel—are opened to you. In the Doctrine and Covenants and Church history course, you review the Great Apostasy and witness the restoration of the gospel. You move in sequence from the sacred grove to the Church today, fitting each section of the Doctrine and Covenants into its historical setting. You learn of translation by the gift and power of God. You learn of keys of the Aaronic and Melchizedek priesthoods, and the keys of the sealing authority restored in fulfillment of Malachi’s prophecy. You learn of opposition and apostasy and martyrdom. You learn of calls and releases. You learn of temples and redemption of the dead, of missionary work, and perfection of the Saints. 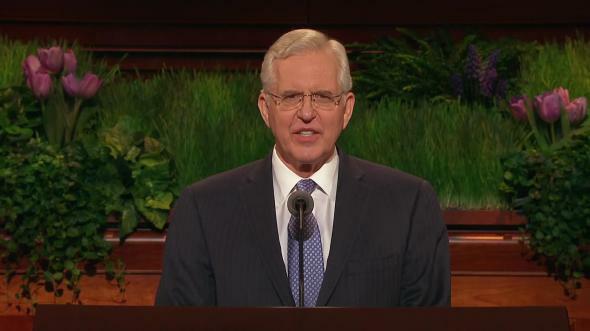 In the next course, you are carefully led through the Book of Mormon, Another Testament of Jesus Christ. It affirms both the Old and the New Testaments. Here, more details of the doctrines of salvation, lost from them, are revealed. In its pages justice and mercy, the Fall and the Atonement, mortal death and spiritual death are explained. You learn of the frailties and the consummate goodness of men and of peoples. You are taught of the still, small voice of personal revelation. All of these courses are taught in a school setting with excellent teachers. But seminary is not all study. There are some fun and games. The scripture-mastery program is sometimes called scripture chase, and, at that age, the boy-girl chase begins. In the institutes of religion and at Church colleges and universities, the same scripture courses are taught on a more advanced level, together with teachings of the living prophets, missionary preparation, world religions, priesthood and Church government, and many other courses. Student branches and wards and stakes are organized to provide opportunities for you to serve. Institute, too, has its fun and games and a course in courtship and marriage. Now the boy-girl chase becomes more exciting because they begin to catch one another! The percent of temple marriages among graduates of seminaries and institutes is more than double the Church average. I repeat: The percent of temple marriages among the graduates of seminaries and institutes is more than double the Church average. Do you need any better endorsement than that? All of these courses in seminary, institute, and at Church schools are taught by dedicated teachers. They deserve our respect, our deep gratitude, and our full support. Every parent, every Church leader, should act as an enrollment agent for seminaries and institutes. Parents and priesthood leaders, check on your college students. See that they attend the institute. I reverently give thanks to the Lord for the revelations, the scriptures, the standard works which He has given to us in our generation. These are the handbook for the priesthood. For you young men of the Aaronic Priesthood and you brethren of the Melchizedek Priesthood, I bear witness that He lives and that they do testify of Him. And I testify of Him, in the name of Jesus Christ, amen.